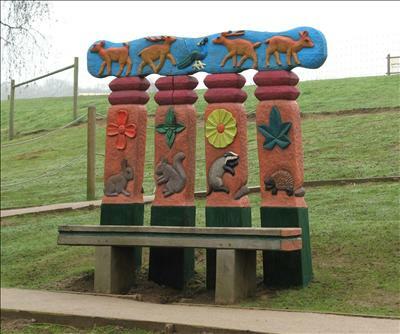 The Four Post Bench was made for Woburn Safari Park. Situated in the 'Australian Walkabout' enclosure. Carved on green oak supplied from trees felled in Woburn Park. Painted with acrylic colour.